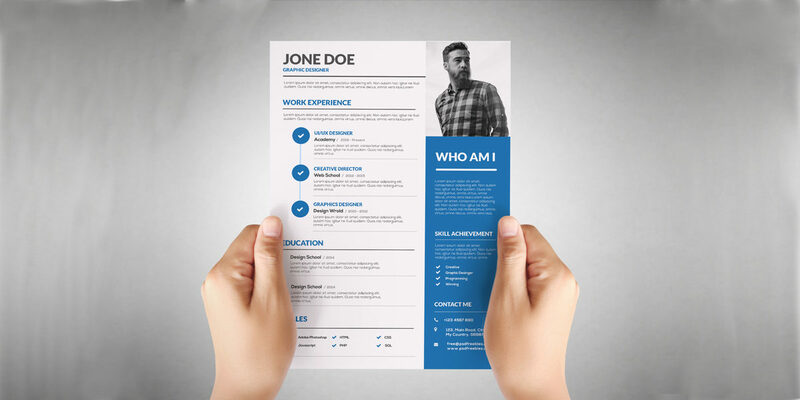 It is a well-known fact that a creatively designed resume template can help to create a lasting impression on the potential employer or the needful client. The template designed with minimal and impressive style can take you a pedestal higher and a step closer to your dream job. We have today collected a list of 10 most creative resume templates that will help you design the perfect online CV and Resume. These templates are all the more perfect for the creative professionals and amateurs aspiring to work in the diverse fields of design. This simple resume template comes with a legible and easy to register design. With clear and distinct sections, this one-page resume template gives all the required information in an attractive blend of text and illustration. The neutral combination of black and white makes the design of the template simple and sophisticated. In the impressive and elegant combination of orange and red, the template is professional. It comes with a detailed space for work experience and awards. As we all know the importance of networking in today’s world, the template includes a section for your social networking links. This resume sketch template makes use of a judicious blend of typography and font size. The template in the standard white and black colour is impressively designed with the right stress on the titles and the skills. The designer resume template comes with an easy to use customised design. The colour blue helps to add interest and make the resume shine out amongst the plain and regular designs. 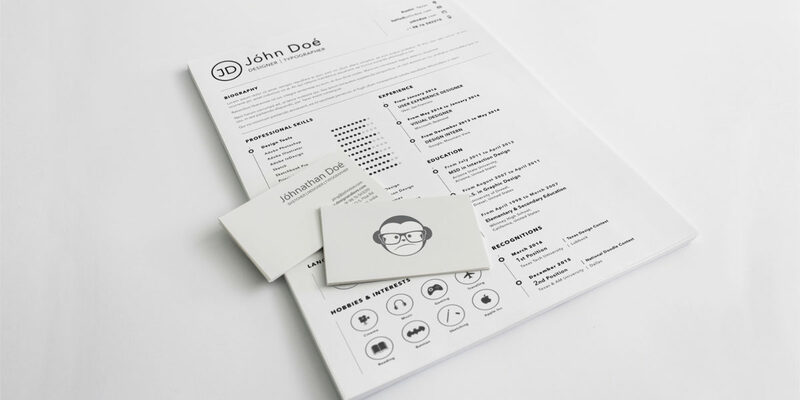 This stylish resume template is easy and impressive on the eye. You can easily edit and fill in the required details with a double-click. Template comes with interesting and illustrative bullet heads for each category. The one-page resume template comes with a letterhead design and a vertical block layout. The headings for each category is designed in an all-caps banner headline-making the design clear and organised. 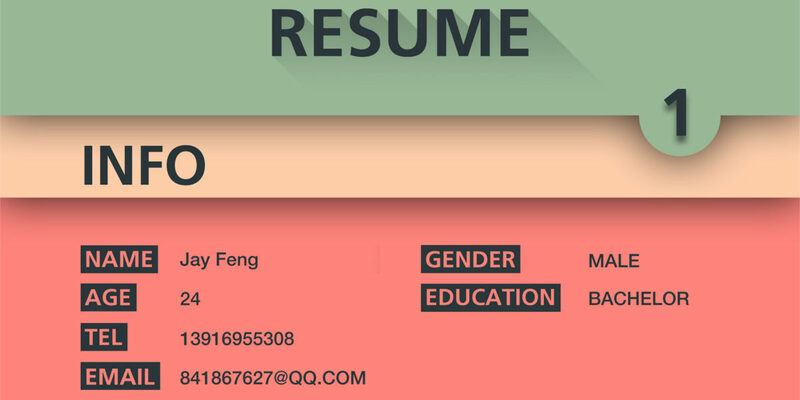 This infographic style resume template comes with a bright and diverse combination of colours. The impressive indicators describe the different piece of information in an interesting and unique style. 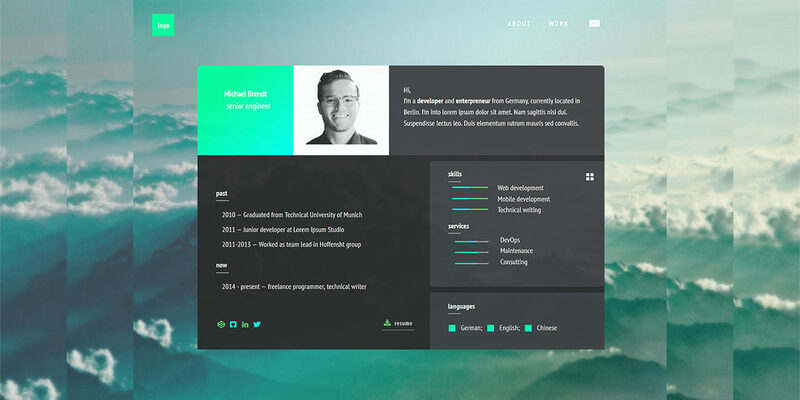 If you work in a creative setup this template is one way to let your resume reflect the same. Professionally designed, this typographic resume template is easy to edit and will definitely help you build a resume that leaves an unforgettable impression. The template is fully customizable right from selection of fonts to the size of the layout. The resume is designed minimally with an old school design. If you are in need for an online resume but are too lazy to code, this template is the best effective and available solution. The resume template carries an impressive combination of black and pink. Designed with the standard category division, the template is evenly organised with a considerable amount of breather space and comfortable typography. 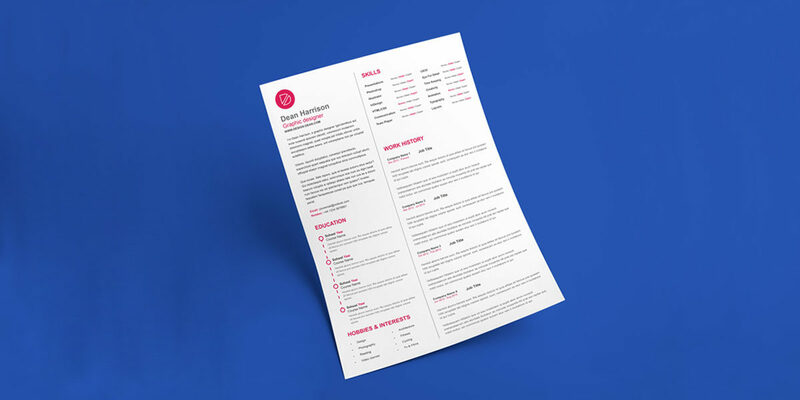 The creative resume templates are an easily available solution to make an impressive resume that will not just present the information but also put you a step ahead of your fellow peers.